Marty Baller gets his musical inclinations from the church. His use of melodies and constant invoking of soul across his latest project, Baller ..
After the successful release of both A$AP Rocky's and A$AP Ferg's sophomore projects (At. Long. Last. ASAP and Always Strive And Prosper .. Even though A$AP Ferg released his debut and only studio album, Trap Lord, just three years ago, it feels like a lifetime has passed since ..
Hip hop industry, culture and fashion leaders A$AP Mob lost one of their most influential members in 2015, A$AP Yams. 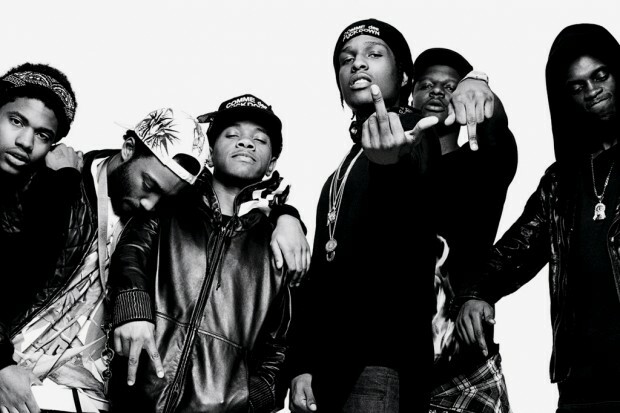 Known as the crews' ..
One of the reasons hip hop artist A$AP Rocky was so beloved when he initially dropped, was his loyalty to Harlem and his A$AP Mob. Rocky ..
A$AP Rocky returns with "Lord Pretty Flacko Jodye 2 (PFJII)"
Since releasing his debut album in January 2013, A$AP Rocky has taken his talents behind the scenes, helping foster a stronger A$AP Mob. .. While millions of shoppers were out and about yesterday, trying to take advantage of all of the insane Black Friday deals, A$AP Ferg decided ..
Lord Jodye Flacko II, better known by the name of A$AP Rocky, is back with new material and this time around Flacko is holding nothing back ..
Philadelphia has been a hot bed for talent for quite some time now. Whether it be when Allen Iverson reigned supreme for the 76ers, or more ..
A$AP Ferg – "DTM Awards 14"
2013 was the year that Harlem rose to take back their part of the hip hop throne back. The streets of New York hadn't seen a bunch of young, .. Remember the days when people said that they wanted real rap back? The same people that wanted those classic 90's flavours to return to the music ..